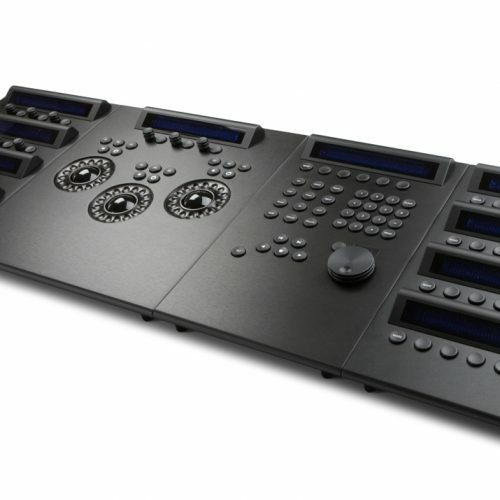 Stylish enough to look good in any grading suite and compact enough to be used for on-set grading, you’ll find all the controls you’d expect from a colour grading panel without compromising on the essential ergonomics. 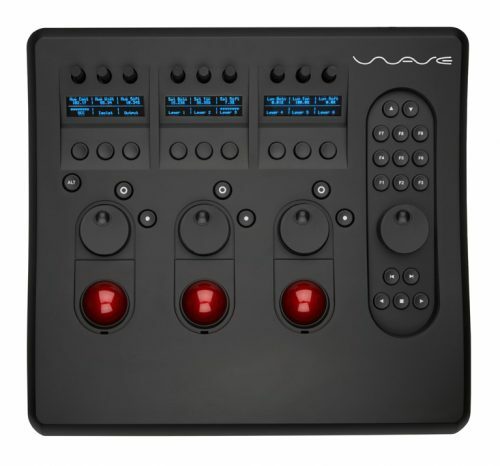 The wave features crisp, easy to read, cool-blue or ice-white OLED displays and custom trackerball units based on a non-contacting optical pickup. 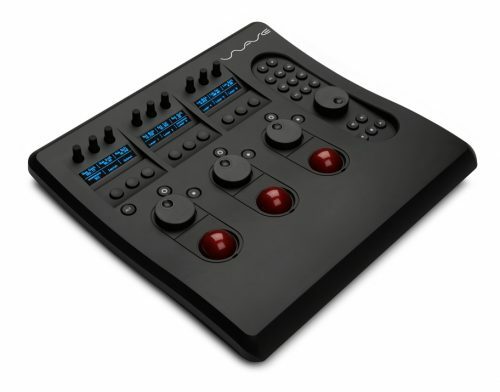 With enough buttons and knobs to keep your most needed controls at your fingertips, the Wave will increase your productivity, leaving you to get on with what you’re best at doing – being creative! Power 500mA max (via USB). Mac OS X or later. 3 x ice-white OLED displays. Each display is 5 lines high and 32 characters wide. For soft labelling the controls and providing feedback. 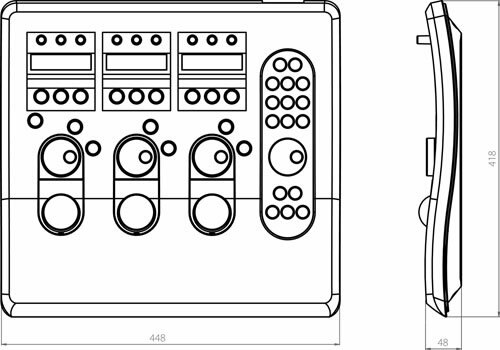 Soft Label Parameter Control Knobs 9 x continuous rotation encoders with integral push button for reset. Soft Label Buttons 9 x buttons. 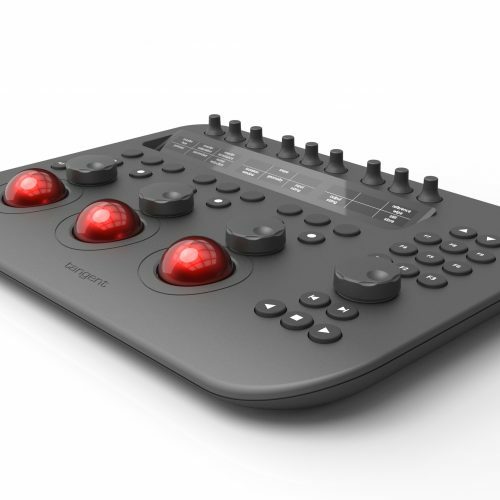 9 x Function buttons labelled F1 to F9. For fast access to frequently used functions. 3 x continuous rotation encoders. For Master lift, gamma and gain controls. 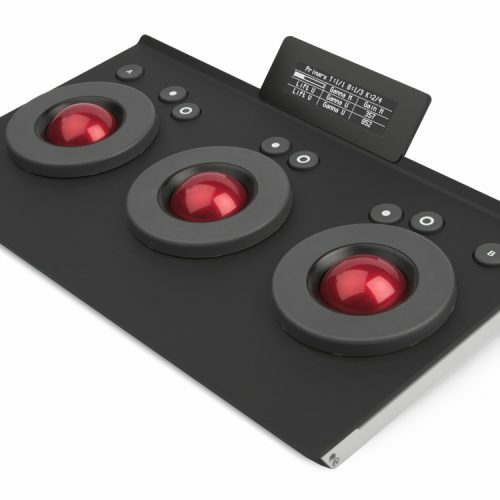 3 x non contacting optical pickup trackerballs. For differential lift, gamma and gain controls. 1 x continuous rotation encoder. 5 x buttons labelled with typical transport functions. Note: usage of controls may vary depending on the software used with Wave.